CMS Cepcor® manufacture and supply aftermarket spare parts and service to suit the Atlas Copco PC1000 cone crusher. 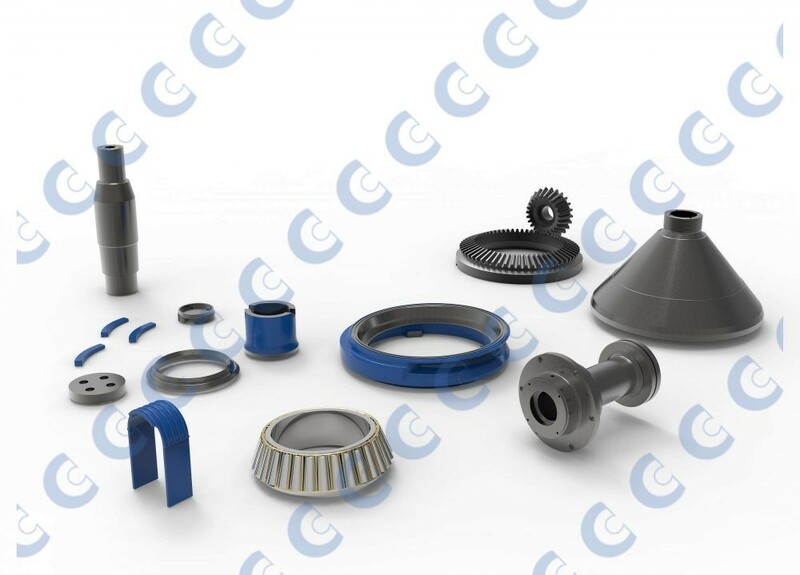 In addition to the supply of quality aftermarket crusher manganese wear parts to suit the PC cone. CMS Cepcor® also supplies a wide range of UK manufactured and precision machined crusher spare parts. From rotary seal rings to coneheads and european branded bearings to piston rings, our vast range offers a genuine alternative to the Original Equipment Manufacturer. All CMS Cepcor compatible parts to suit Atlas Copco PC crushers are manufactured and warranted by CMS Cepcor®. Atlas Copco® is a registered trademark of Atlas Copco AB | CMS Cepcor® has no affiliation with Atlas Copco.